Flag bungees are the best method of attaching one or multiple flags to a Telescopic Flagpole or Pro Pole. 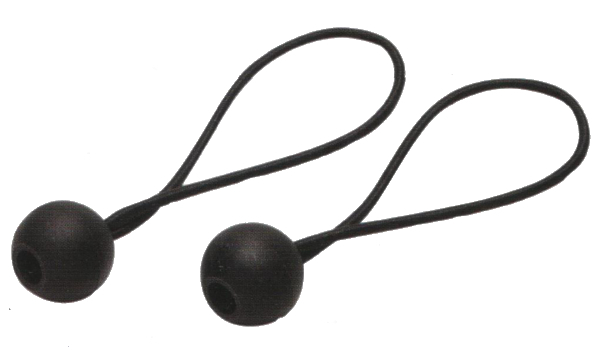 Packaged as a pair, these inexpensive flag bungees are the best method of attaching one or multiple flags to a Telescopic Flagpole or Pro Pole. These Flag Bungees are designed specifically to grip the flagpole with the minimum safe load and help prevent crushing the pole as some other flag attachment methods may. 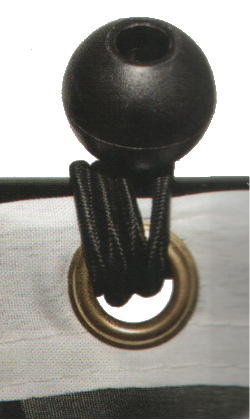 Secure your flag by passing the bungee loop through the flag eyelet and around the pole then secure the loop over the plastic ball. You can wrap the flag bungee around the flagpole a few times to adjust for pole diameter. Please note: do not over tighten the bungees as this can weaken the flagpole.